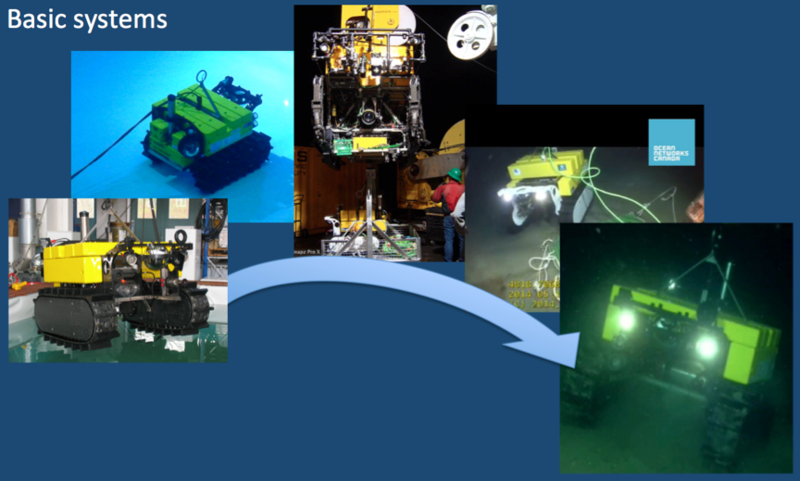 WALLY 1 is a highly reliable teleoperated crawler in operation for 12 – 18 months deployments at ONC (Ocean Networks Canada) since 2010. 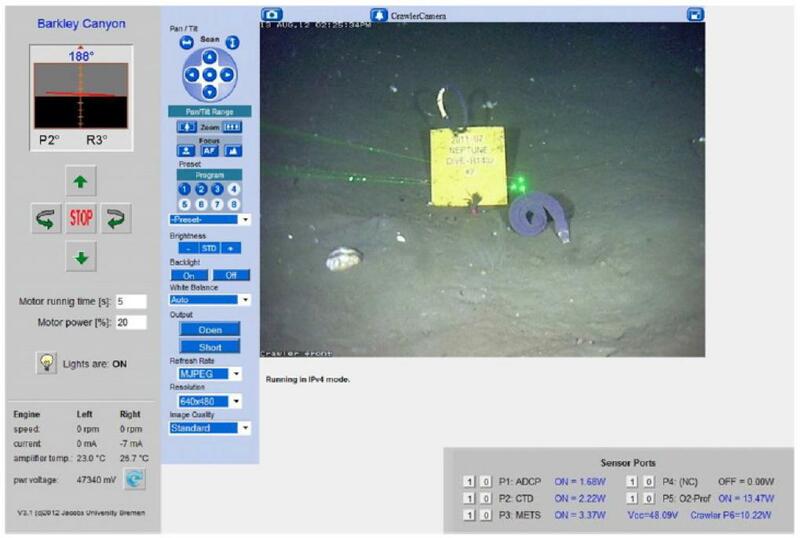 This teleoperated Crawler is connected to any cabled observatory to carry out operations with real-time data supply. 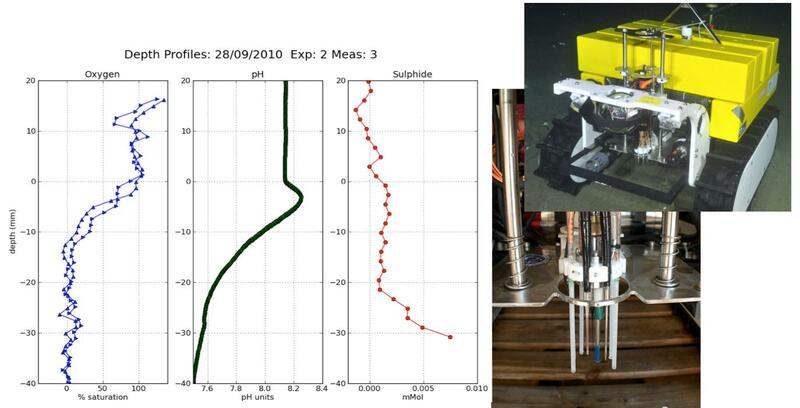 The crawler can monitor and study an area of sediment surface proportional to the length of its umbilical cable. Typically a buoyant flexible 20 mm diameter Polyurethane (PUR) sea cable, containing two wires for power supply and 4 twisted-pair wires for Etherbit communication is used. It is 70 m long, connected to a junction box, giving a coverage of 15,000 m2. 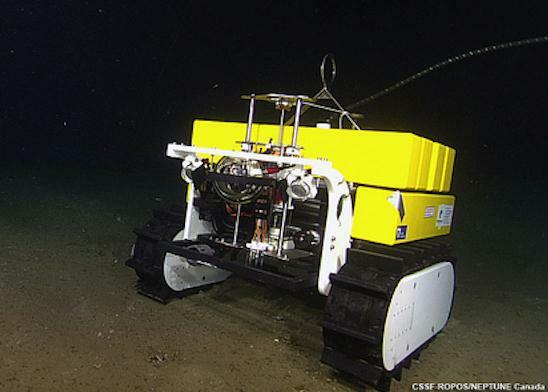 The caterpillar tracks create a footprint on the seafloor of 0.35m2 with a weight of ≈10 g/cm2. A port manager, housed within a titanium pressure housing connects the Crawler to the junction box. It can be accessed via a standard Internet connection. A microcomputer which runs the two software applications required for motor control and running the Crawler web server uses a real-time operating system (RTOS) and can be contacted remotely via Telnet or an ftp connection. A HD-Camera is mounted in a pressure resistant glass globe (6000 m rated) or titanium tube at the front of the Crawler. Two 33 W forward facing LED lamps are used for teleoperations. 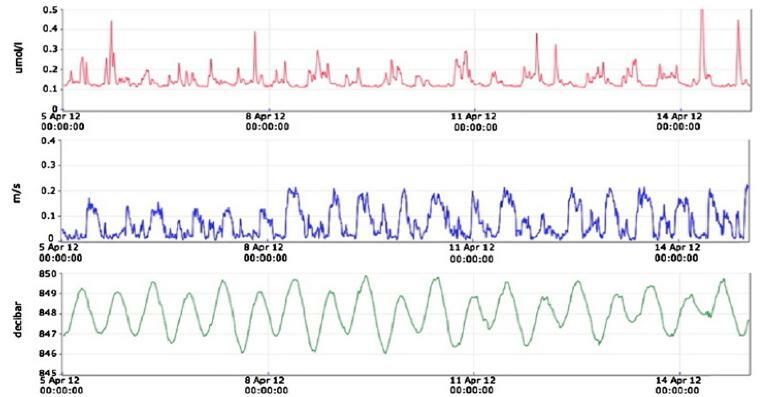 The internet connection allows the data collected by sensors to be transmitted to shore and archived automatically within a Data Management and Archive System (DMAS). 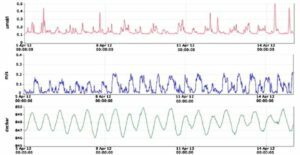 Up to 10 sensor systems including experimental chambers or microprofilers can be used. 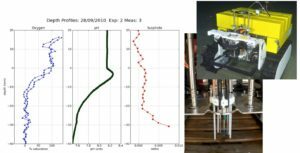 The payload is 120 kg. 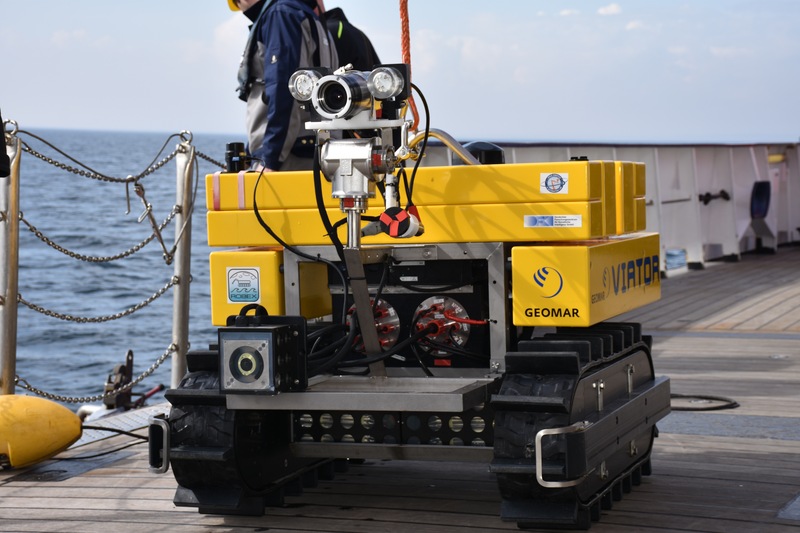 The tele-operated crawler can also be controlled with a small boat or from shore via surface float. This highly reliable teleoperated version is in operation for 12 – 18 months deployments at ONC (Ocean Networks Canada) since 2010.